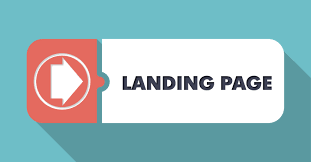 A landing page is a web page that is created with the intent of a marketing or advertising campaign and is widely used in digital marketing to bring paid search traffic. Landing pages are designed to attract visitors through paid search traffic such as Google Adwords. According to the IT consultants, there are different types of landing pages that can guarantee an improved conversion rate of visitors. It is to be noted that all landing pages can’t be the same in design or content, however the basic intent of a landing page is to convince the visitors to convert into potential customers by inducing them to perform a specific action through a call to action button. IT consulting firms can be hired to create various types of landing pages that perform the intended job of making the visitors use the call-to-action button. Click-through landing pages: This is the simplest form of creating landing pages wherein the aim of the landing page is to provide all the necessary details regarding a product or offer including the benefits of using the product in such a way that the visitor is convinced to purchase the product. Lead capture landing pages: There are numerous IT support professionals who can create landing pages depending on your marketing campaign goals and one of the basic types that are widely used is lead capture landing pages that are also referred to as squeeze pages. As the name suggests, this type of landing page is used to gather personal information of the visitor wherein the visitor doesn’t have an option of exit path from the page either in the form of links or navigation. All that is available is the button to submit details in lieu of an exciting incentive which compels the visitor to share the personal details. Video landing pages: According to the IT consulting firms, this type of landing page can be used to target more conversions with little or no distractions. In this type of landing page, the focus is on a video that has its play/pause buttons disabled, to keep the visitor glued to the video. Only when the entire video is played, the visitor is redirected to a download or sales page. Offer- end page: After a special promotion, webinar or an event is closed, that particular landing page can be transformed into an offer-end page by generating visitor’s interest in the next webinar or offer or by directing the visitor to the blog or website. Microsite: A microsite can be created with the help of web developers to target visitors that are driven from paid online advertising and print ads. A microsite is generally used in large marketing campaigns wherein the site is a supplementary website with its own URL for the specific time when the campaign is on. Homepage: According to the experts in leading IT consulting firms, one type of landing pages that is the worst performer in relation to conversion rate is homepage as the landing page. When a home page is used as a landing page, the visitor gets distracted with many options of exit that destroys the sole purpose of a landing page i.e. directing the focus of a visitor towards a call-to-action. Although there a number of types of landing pages that can be created based on the marketing campaign goals, one has to choose a landing page that facilitates better conversion rate. Hence, it is always better to create stand-alone landing pages rather than directing to a home page.